The news is in! New show announcement! Adapted by Stephen Briggs, this is a classic of the Pratchett stage. We will be pruning the script gently to present a 90-minute abridged adaptation with all the flair and flamboyance of a Duck in a Hat original! With a bespoke soundscape, handmade costumes, over-the-top lighting and a cracking bunch of actors from across the UK, we promise Wyrd Sisters will be a night to remember! You can catch our new show in the Studio at Paradise in Augustines on George IV Bridge in Edinburgh, from the 14th-27th August (not 20th) at 6.25pm. Tickets are available here, and we can't wait to see you there! There are just under 10 weeks until the opening night of Terry Pratchett's Mort in The Studio at Paradise in Augustines (Venue 152) at this summer's Edinburgh Fringe! The script is undergoing its final polish, costumes are in production, props are being amassed and set is being finalised. Our producer, Kacey, has just bought a car with specific attention to the internal dimensions to ensure it is big enough to transport the furniture to Edinburgh... It's a very exciting time, as we prepare to bring you 13 fantastic shows. The most important news is that tickets are onsale now! Another way you can get involved with Terry Pratchett's Mort is by sponsoring Duck in a Hat Theatre - taking a show to the Edinburgh Fringe is a scarily expensive endeavour, and the support of our friends and sponsors is really important in enabling us to bring you the best possible show. We really appreciate any offers of support, however small. See our 'Sponsors' page for more details, or contact us at duckinahattc@gmail.com. Today we announce the news you have all been waiting for! We umm-ed and ahh-ed for a few months but we eventually decided: Mort​ it was to be. Under the skillful ministrations of Eric's scriptwriter Tim Foster, 272 pages of Sir Terry's finest are being gently manipulated into 80 minutes of fun, fantastical, feel-good theatre. Those who loved Eric, expect to see a few familiar faces and discover a few new friends. 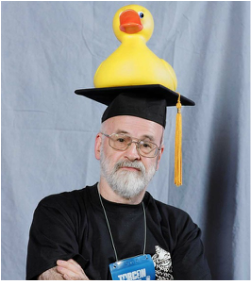 To those new to Duck in a Hat, we hope that our fun and family-friendly style will both delight those who are Pratchett connoisseurs and enthrall new fans, even if they've never dabbled in Discworld before. The last blog post was many aeons ago and all things Eric have moved on apace (or perhaps awaddle) since then. Our duck has been travelling, most notably to Bruges, which was the closest city we could find to Ankh-Morpork in style if not in citizenry, but is now back to supervising our minions to ensure they actually get on a do their jobs. The Eric script has been finalised and we are very excited to reveal our cast. The set is almost complete, despite the combined efforts of a set of cheap drill bits, wibbly nails and unruly screws. Costumes are soon to go into production. The only thing we're missing is The Luggage, but it usually catches up. We're getting very excited about our trip to Edinburgh, now just two months away! Why not join us? Tickets are now on sale through the Fringe box office! Duck in a Hat is sad to hear of the death of Sir Terry. He has been a great inspiration to us all and will be greatly missed. We will be dedicating our upcoming production of Eric to his memory and hope that we can do him justice. "In the Ramtop village where they dance the real Morris dance, for example, they believe that no one is finally dead until the ripples they cause in the world die away—until the clock he wound up winds down, until the wine she made has finished its ferment, until the crop they planted is harvested. The span of someone’s life, they say, is only the core of their actual existence"
Duck in a Hat has completed a first draft of the script! However, we have got a little over enthusiastic and written too much... The next task is to cut all the unnecessary and unfunny bits and make it flit into our Fringe slot. We now have Fringe performance dates and times! Terry Pratchett's Eric will be performed in The Studio at Paradise in Augustines at 7:15 in the evening from the 8th - 22nd August. We are in the process of registering the show with the Fringe and expect tickets to go on sale soon! Watch this space. 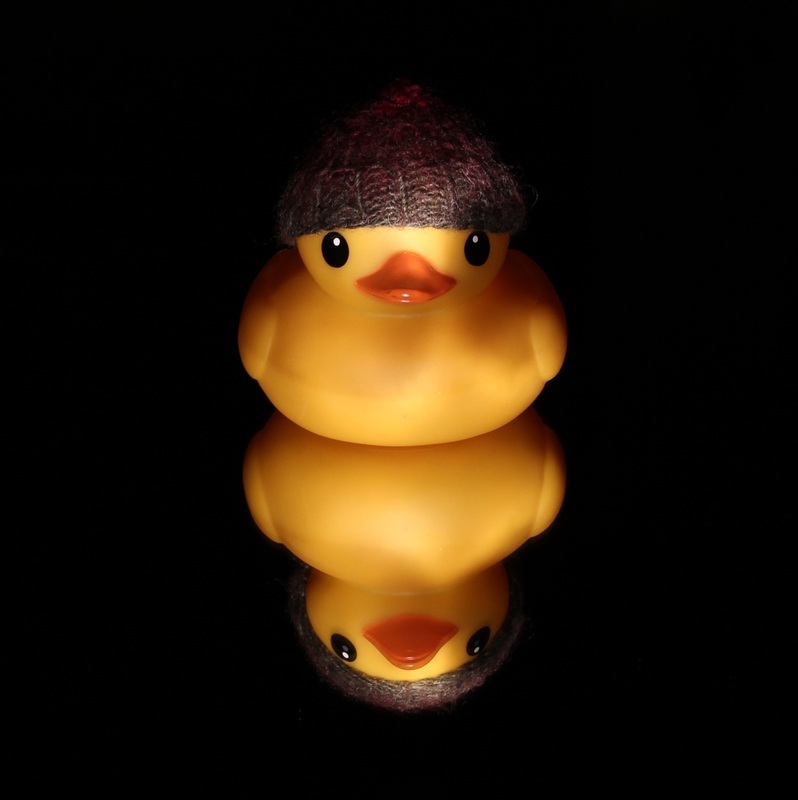 Duck in a Hat is currently working towards staging our first production, Terry Pratchett's Eric, which we have generously been given permission to adapt and stage at the Edinburgh Fringe this summer. So far we have begun work on the script although it isn't progressing as fast as intended due to snowy distractions.